Each day we honor our armed forces, veterans, police officers and firefighters by offering your meal at a discounted price when your I.D is present. We’ve got deals going on throughout the week, we hope to see you coming in to enjoy them, soon! Monday is far from the worst day of the week at Bourbon House! 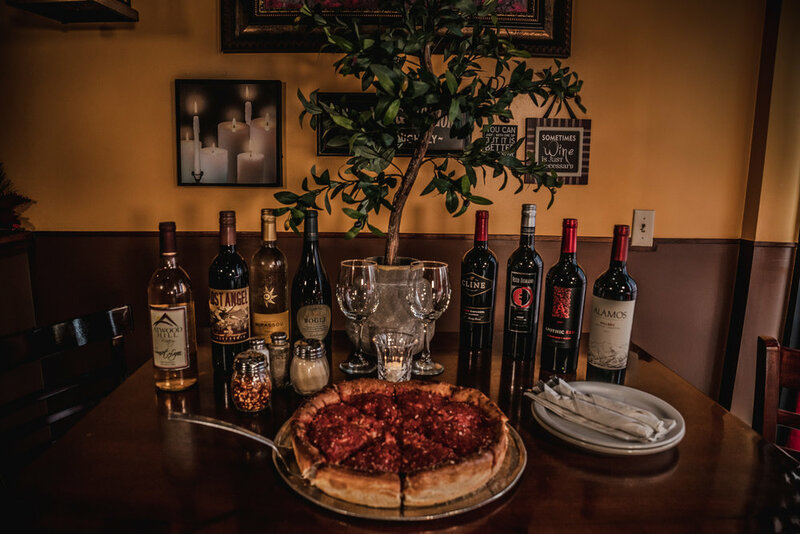 Mention this online promotion to your server or over the phone when placing a carry out order and with any Deep Dish order you’ll receive a small pizza with up to one topping for FREE! 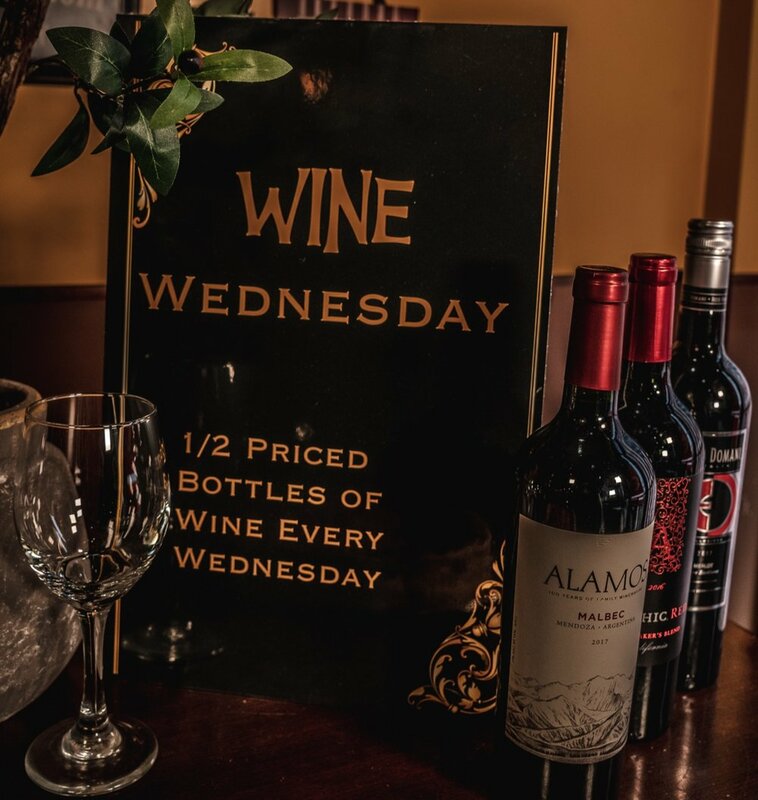 We firmly believe that everyone deserves half priced bottles of wine on hump day. Come in and grab your favorite bottle without breaking the bank! It Pays To Get A's! "Grades 1-12 Dine in only"
Thur-Sun 11 AM-2 PM Get a $6 Calzone with two toppings or a $6 small pizza with up to 2 toppings! additionally, All hoagies are discounted with the purchase of any FOUNTAIN drink.